Artists need space in which to create, gather, perform, and to live. There are multi-disciplines within the artistic community that have different needs for creative space that is affordable, suitable and sustainable. McLuhan House has opened a call for submissions to local artists for the McLuhan House Art Studio Residency. 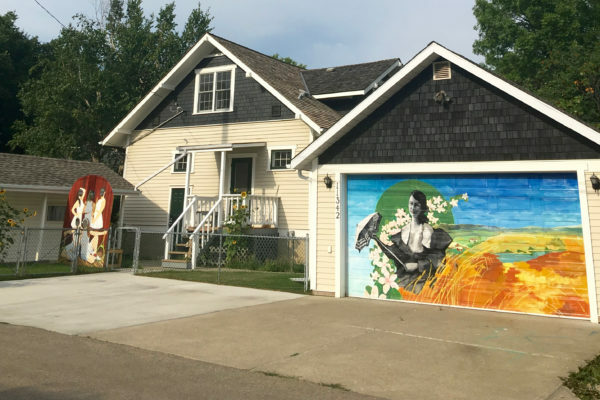 Located in the beautiful community of Highlands in Edmonton, the artist or artist group that receives the residency will have private access to a 540 square foot garage studio space in which to practice their passion. While we encourage artists from any discipline to apply, musicians, sound artists, and other artists whose work produces a great deal of noise may find it difficult to work as there is a noise restriction in place from 11:00 pm to 9:00 am. 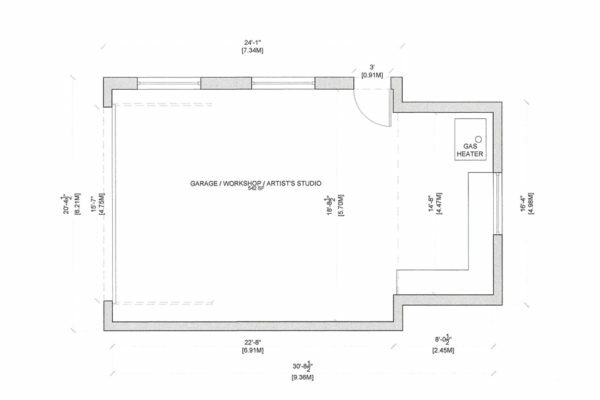 The residency space offers an overhead garage door, cupboards, workbench, a radiant heater, and cement floor. Please note the studio has no running water, however the Artist-in-Residence has access to McLuhan House’s basement utility sink, main floor kitchen, and washroom facilities. Minor alterations to the space are allowed with permission.The use of the studio space includes free utilities but artist fees, materials, and supplies are NOT provided. The studio is barrier free and accessible at grade, however, McLuhan House is not wheelchair accessible at this time. This is NOT a live-in residency nor will the artist or group be compensated other than free studio space. Proposal Letter of 500 words or less. A maximum of 10 samples of previous work OR up to 5 minutes of video in appropriate size and format. This one-year residency to commence on June 1, 2019 is open to all local artists and artist groups. A multidisciplinary jury appointed by Arts Habitat will place emphasis on finding an artist or artists with strong artistic work, and good potential to succeed in producing artwork in the available space/time. Arts Habitat Edmonton is committed to equity in all aspects of its work and invites proposals from all potentially interested artists. To submit, please click here to fill out the forms.